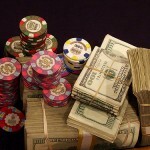 The last few days have represented a rather busy period at the high stakes tables at Full Tilt Poker mostly. Gus Hansen took on Phil Galfond, looking to ride his hot streak, and Tom Dwan and Daniel Cates locked horns in yet another durrrr Challenge session, in which Cates managed to get the better of the New Jersey Wonderkid yet again. The Galfond/Hansen confrontation gave birth to several large pots, and both players took down their fair share of such monsters. 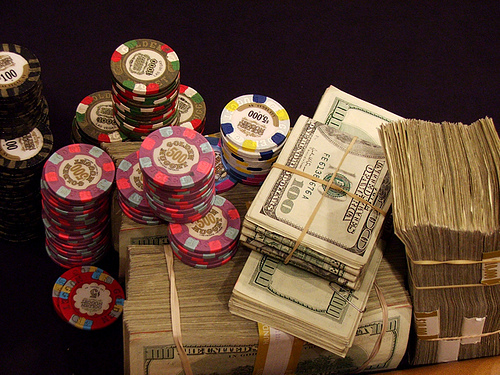 They played at the $300/$600 PLO tables at Full Tilt Poker. The first monster pot that they played for was a $155k one, which ended up in Hansen’s possession. The hand started out with some pretty wild preflop action which laid the groundwork for the post-flop all-in. When the chips went into the middle, Hansen had an overpair of Ks and a straight draw. Galfond had a top pair of Qs. They ran the turn and the river cards twice. The first time, Hansen made a straight. The second time, none of the two hands improved, which meant that the Great Dane ended up scooping the entire pot. A few hands later, another 6-figure beauty developed. The chips hit the middle on the flop again, and Hansen yet again had an overpair (a pair of Aces this time). Galfond had a top pair of 10s and a flush draw. The first running of the turn and river cards gave Galfond a flush, and the second one a set to send the entire pot his way. Hansen also played against NoPasaran, landing a $114k pot after his top two pair got the better of NoPasaran’s inferior two pair both times the river card was run. The biggest winner of the last few days was Daniel Cates (with nearly $300k in profits). Seb86 and Rui Cao made the winners’ list too. The biggest loser was Tom Dwan (having dropped more than $500k) and Niki Jedlicka. Patrik Antonius and Ilari Sahamies made the losers’ list too.